"The population of the Golan Heights will increase to about 150,000 people. This means that the Jewish population is likely to increase to 100,000 people, while the Druze population will rise to 50,000… Of course, the recognition of Israel's sovereignty [over the Golan] will open up new prospects in terms of foreign investment," Apartsev said, speaking about Israel's demographic plans in the region for the coming 10-15 years. The Qatsrin mayor added that he expected to bring the population of his city alone to 50,000 people from the current 8,500 inhabitants. The mayor added that he hoped that the US decision would help dispel the doubts of the foreign business community regarding projects in the Golan Heights and help fight against international boycott campaigns, urging investors to refrain from dealing with the occupied territories. He noted, at the same time, that the region was currently at the growth stage even despite such campaigns. About 40,000 people currently live in the Golan, with the Druze making up over 50 percent of the population. The Druze consider themselves to be Syrians, though, they maintain peaceful relations with their Jewish neighbors. Qatsrin is the administrative capital of the Golan Heights and the largest out of 33 Jewish settlements of the region. The Golan Heights, a strategically important area due to its water resources among other reasons, has been mostly under Israel's control since the country seized the area during the 1967 Six-Day War. When Israel adopted a law that effectively annexed the territory back in 1981, the United Nations unanimously declared that it was "null and void and without international legal effect." 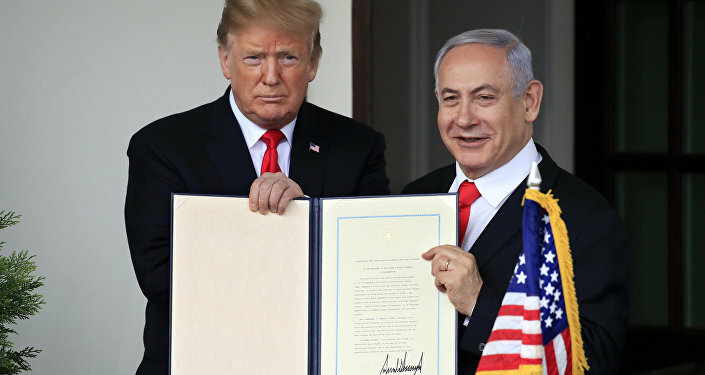 On Monday, US President Donald Trump signed an executive order formally recognizing Israel's sovereignty over the Golan Heights after his meeting with Israeli Prime Minister Benjamin Netanyahu at the White House. The document, which has been widely regarded as way of propelling Netanyahu's re-election bid ahead of the April 9 parliamentary vote, has already been condemned by Iran, Russia, Syria, Turkey and other countries. 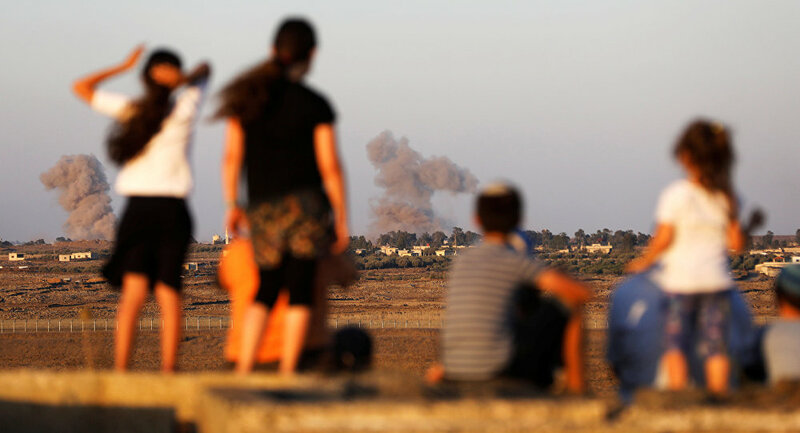 Major US allies such as France, Germany and the United Kingdom have similarly refused to back the country's U-turn in its policy toward the Golan, as it went against a UN Security Council resolution.